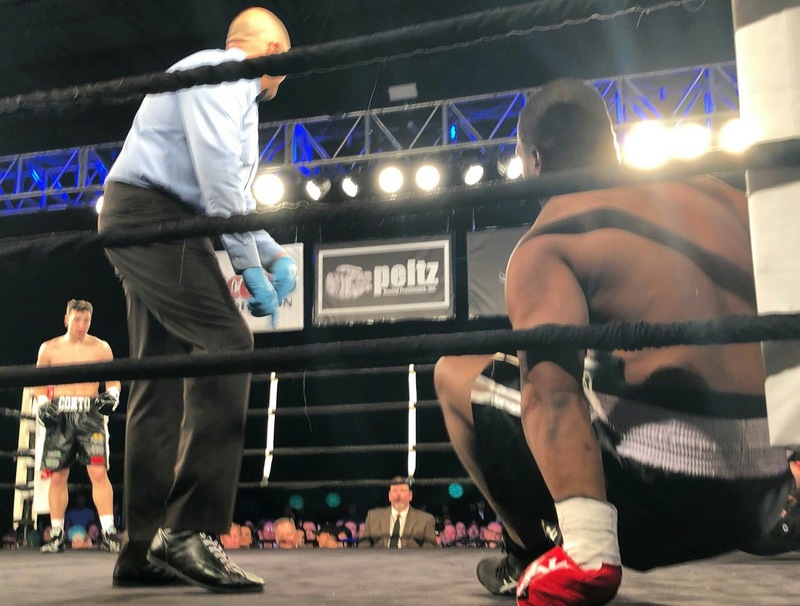 Recap : Previously unbeaten Christian Carto, who Top Rank’s Carl Moretti said was on the “watch list” got blasted out in Round 2 with a looping left hand from Victor Ruiz. 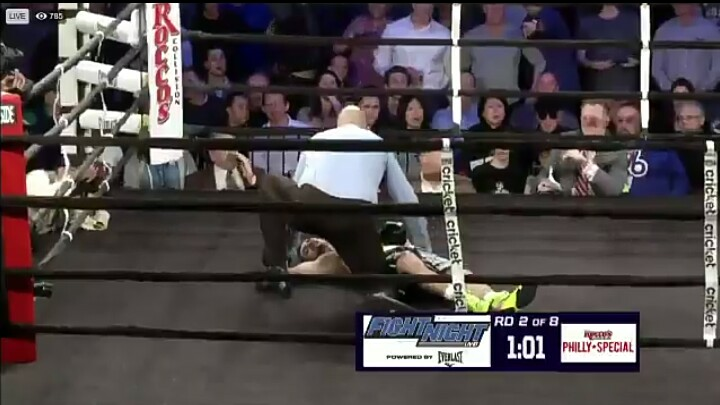 One of the scariest KO’s I’ve seen in a long while on . Victor Ruiz (23-10, 16KO) knocks previously unbeaten Philadelphian Christian Carto (17-1, 11KO) out cold with a short, sneaky left hand. Alejandro Jimenez vs Edgar Joe Cortes ends in a split draw. FIGHTNIGHT LIVE Powered by Everlast opens the first quarter of 2019 with an outstanding six-card lineup featuring six different promotions. 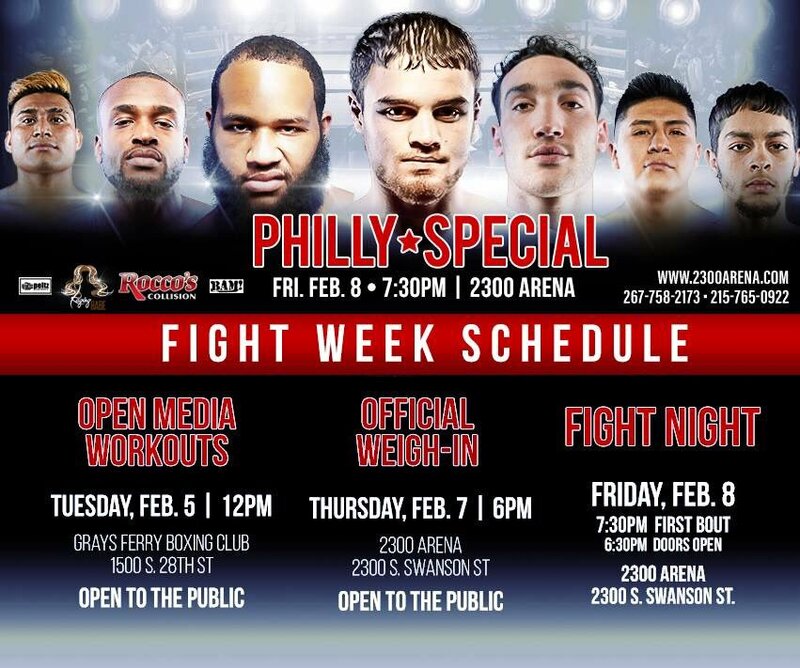 Carto meets veteran southpaw Victor Ruiz (22-10, 15 KOs) in the main event, as the 22-year-old prospect looks to continue to make his case as a contender.Rock will fight in the card’s co-feature, while undefeated Marcel Rivers (6-0, 4 KOs) of North Philadelphia meets Derrick Whitley (4-0-1) of Springfield, Mass. in a special welterweight attraction.